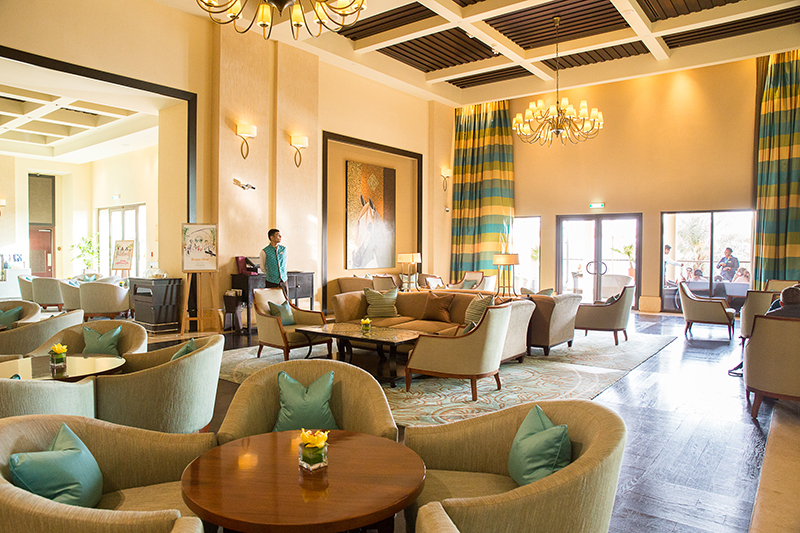 Fairmont the Palm, situated in the luxury beachfront community of Palm Jumeirah, exudes elegance from the moment you walk through the front doors. 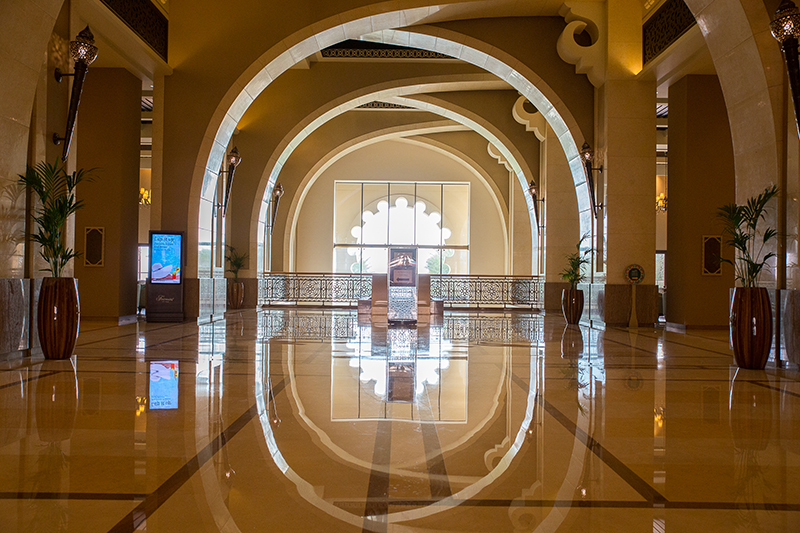 The idyllic, marble lobby has high vaulted ceilings and plenty of beautiful, Middle Eastern décor (think carved wood and metal latticework). At Fairmont the Palm Dubai, you’ll be met with tons of fresh flowers inside, and gorgeous landscaping outside. Thank you to Fairmont the Palm for hosting us. The resort is ideally located a short drive from the airport and near popular attractions, unrivaled shopping, and championship golf. 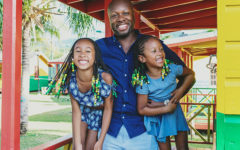 With an award-winning spa, four pools, access to a private beach, world-class dining, and the dedicated Fairmont Falcons Kids’ Club, however, you may never want to leave the hotel grounds! 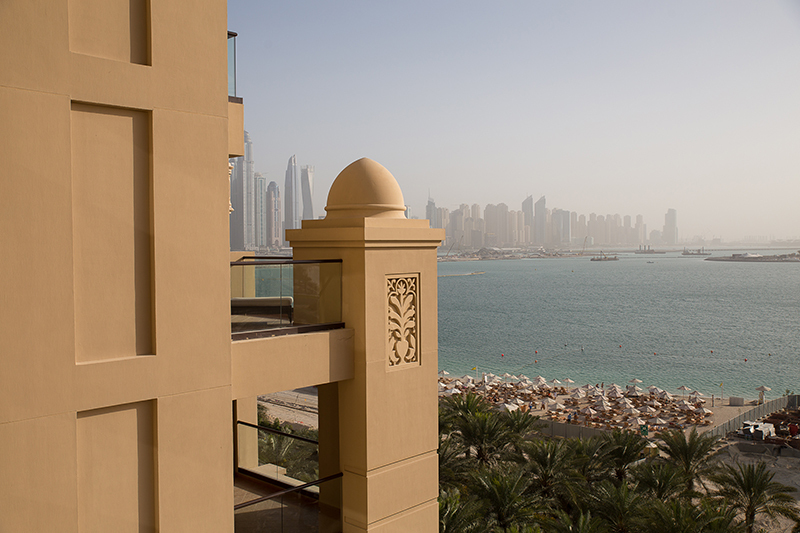 The majestic views of both the Arabian Gulf and Dubai Marina skyline are the icing on the cake. Palm Jumeirah, an artificial island off the coast of Dubai, is one the most exclusive neighborhoods in Dubai, so it’s no surprise that there are several luxury hotels there. There’s only one road in and out of the Palm, and on weekends or when there’s road construction, the traffic can become quite congested. Take this into consideration when making any appointments or reservations off the property of Fairmont the Palm Dubai (check your dates for rates). Having said this, there are a few reasons you may want to venture out, starting with the world’s largest shopping destination: The Dubai Mall. This place is not only a shopper’s paradise, but a hub of family fun, too. It’s home to the Dubai Aquarium & Underwater Zoo, the Dubai Creek Tower, Dubai Dino, Hysteria (that one’s not-so-kid-friendly), KidZania, a flight simulator, a virtual reality park, an ice rink, a movie theater, and so much more! In short, your family can’t experience all The Dubai Mall has to offer in just one day. Back at Fairmont the Palm Dubai, we stayed in Room 439, a Fairmont Deluxe Room. This was a double queen room that provided our family with a little more than 500 sq. ft. of space. (You can get interconnecting rooms upon request.) It encompassed stunning, Arab-inspired, architectural elements, combined with lots of functional elements, like a work desk with a media panel connectivity kit and a 40-inch high definition LED television. The five-piece marble bathroom (with a soaker tub and walk-in, rain shower) was absolutely luxurious. The room also had a lovely view of the pool and ocean. It had a comfortable and spacious terrace to relax on and soak up the views. During out visit, there was some construction happening on the beach, so the view was a bit marred by that, but in fairness, the hotel had given us a heads’ up about this in advance. I’m a big fan of kids’ clubs. 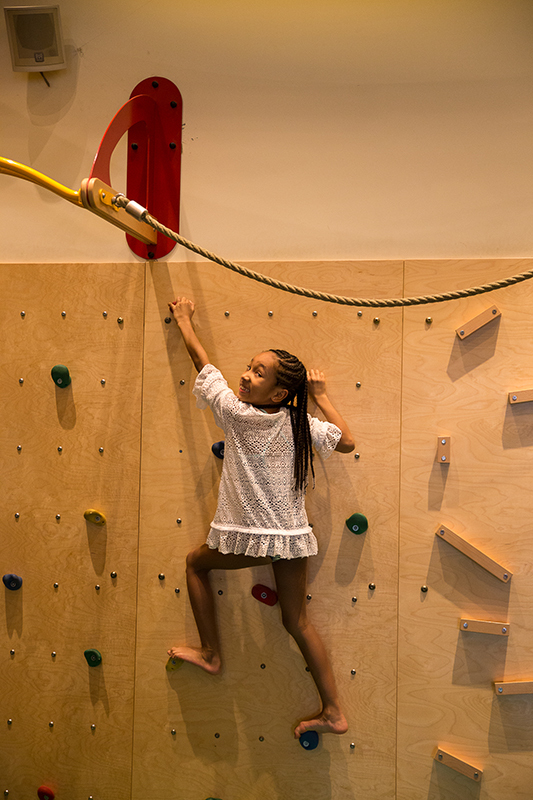 When done right, these spaces provide tons of fun for kids and the perfect peace-of-mind for adults who want an opportunity to experience a few things or just enjoy a date night without little ones at their sides. 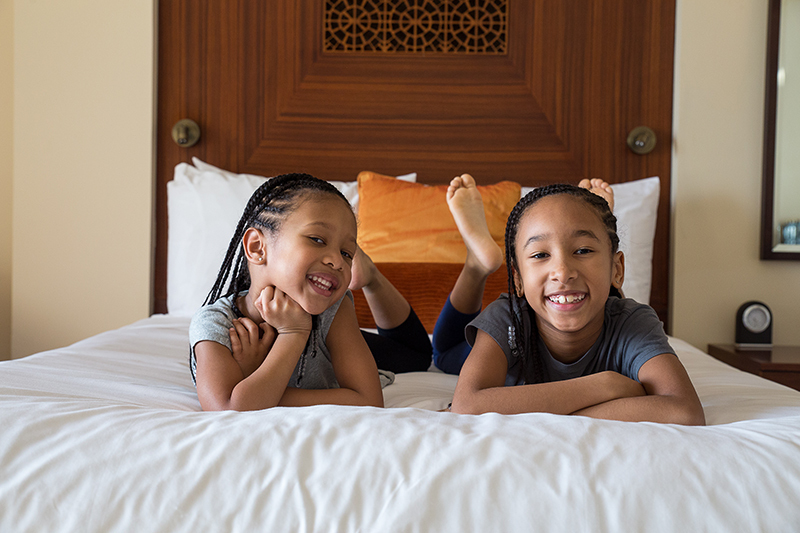 The Fairmont Falcons Kids’ Club at Fairmont the Palm Dubai exceeded my expectations! 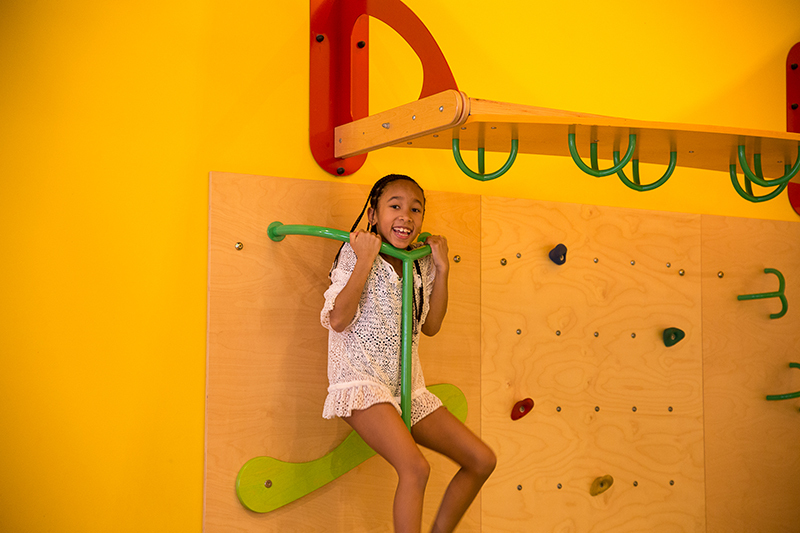 It was colorful, with bright décor, and had a climbing wall that Sean immediately ran to! Ella, on the other hand, gravitated toward the dolls, but the staff was attentive to both of my girls, interacting with them and clearly keeping their safety in mind. There was even a nice splash pad right outside the kids’ club, so the children could play with water while being supervised. 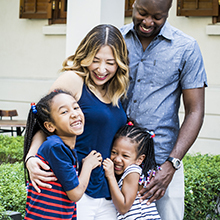 Fairmont the Palm even refers to the activities in their kids’ club as “edutainment” because little ones aren’t simply being watched, but are really being engaged by a professionally qualified team. This service is open to kids from the age of 18 months to 16 years. 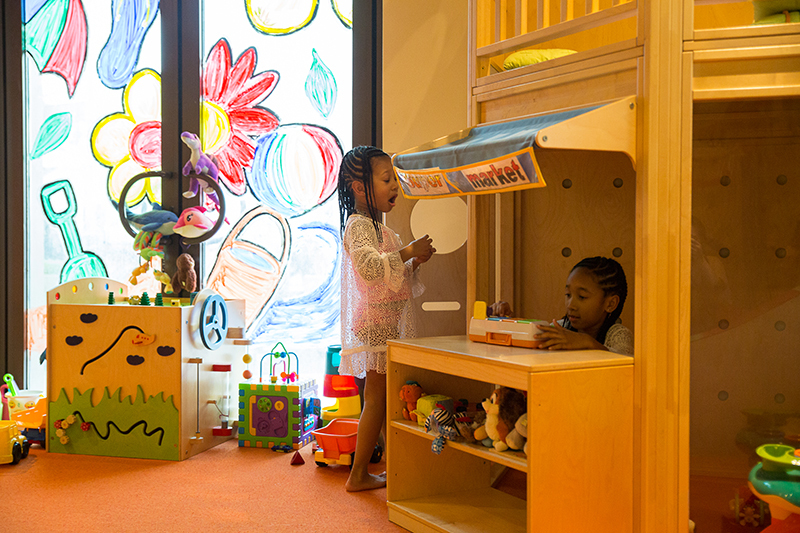 You can expect a toddlers’ playhouse, the aforementioned splash park and climbing wall, arts and crafts sessions, a dress-up area, books, toys and puzzles to keep the kids entertained. 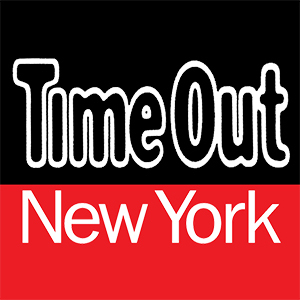 There are Xbox, Wii and PlayStation games in the “chill-out zone” for the older kids. You can even take your child’s “edutainment” further by signing her up for one of the Interactive Art and Visiting Characters classes. 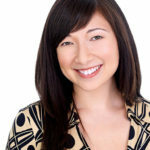 These themed classes are available to kids 2 through 12, and cover techniques like guided expressive art, drawing, educational play, junk modeling, and reflective art, all with the goal of teaching little ones to transform their feelings into expressive art forms. How cool is that?! The Fairmont Falcons Kids’ Club is open Monday through Saturday and starts at AED 60 per hour, per child (That’s about $16 an hour.) Kid-friendly dining options are available for an additional fee. The dinner buffet at this beach-level venue was great. 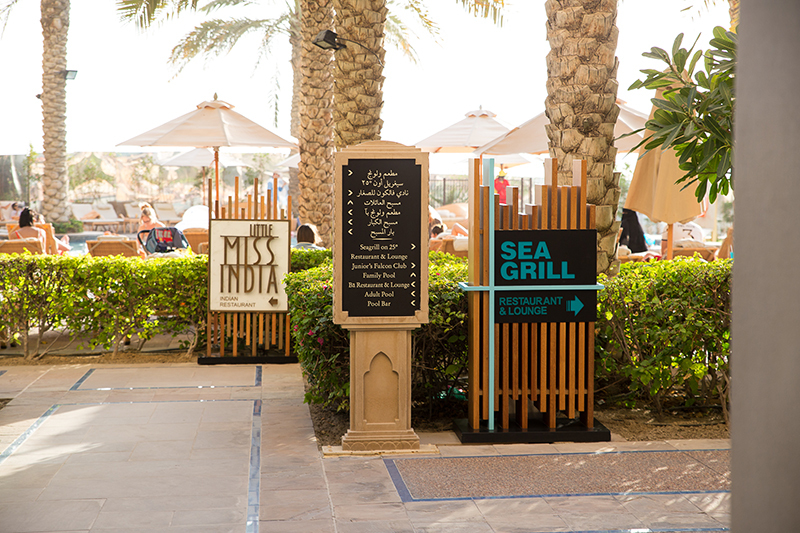 Sit inside or out, and dine on a different selection of international dishes each time you go! They vary themes nightly, and when we went, it was Asian cuisine night. 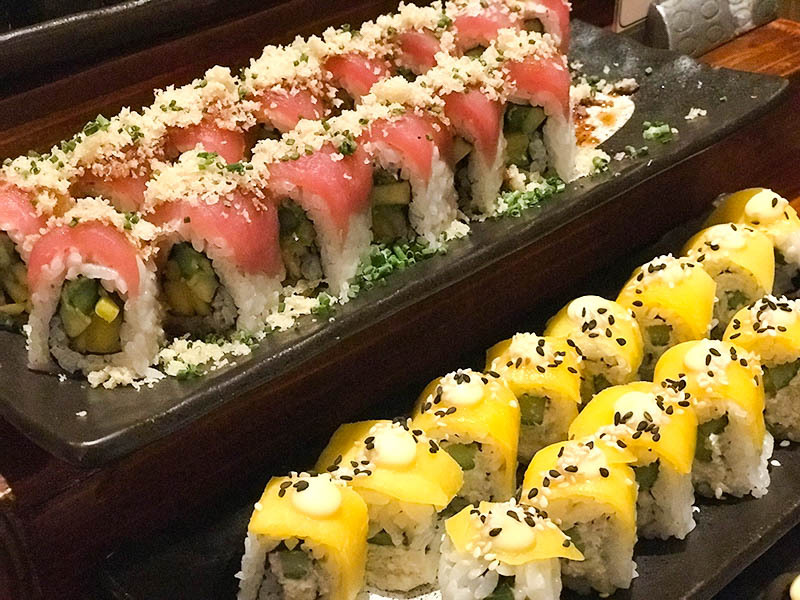 Sean’s favorite food in the world is sushi, so when she saw an entire two tables of sushi rolls, she just about passed about! They had a nice dim sum section, a noodle soup station, and an entire section of prawn chips of different varieties as well. We also ate breakfast at Flow Kitchen each day and the buffet was fantastic. The girls especially loved the green apple juice, which was tart but delicious. Children 6 to 12 years old get a 50% discount for regular buffet. 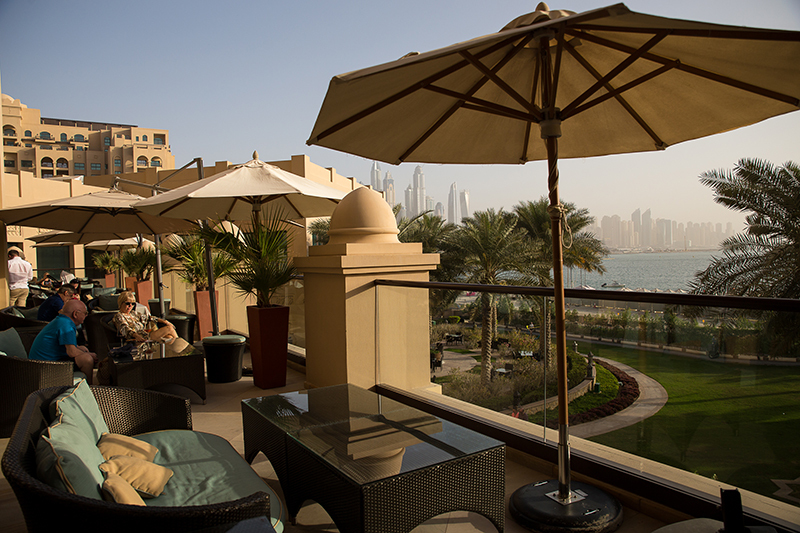 We enjoyed a very pleasant lunch here, sitting outdoors, taking in the expansive views Dubai Marina. While the restaurant is noted for seafood platters and market-fresh fish, we opted for the burgers and weren’t disappointed! Unfortunately, my girls were wiped out from jet lag and slept through much of the meal. If you’re dining without the kids, they have a pretty extensive collection of Mediterranean-inspired drinks and a shisha menu in the lounge. This place is super fun, especially for kids. It all starts with a walk through a lovely little courtyard to get to the restaurant. The decor inside is whimsical but chic, with an eclectic mix of kitsch, pop art, and antique artifacts. There was a fantastic DJ spinning live music during our visit. He played Indian pop music and Bollywood tunes, but it all felt distinctly modern. 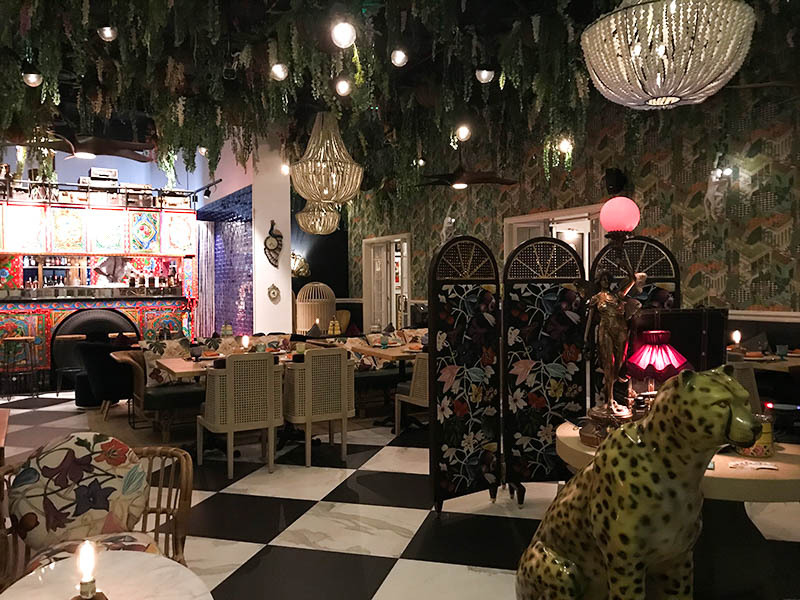 The entire concept of this restaurant is based on the idea that the mistress of the hotel, “Little Miss India” herself (based on fictional character Mohini Singh), take diners on a unique journey through her travels. 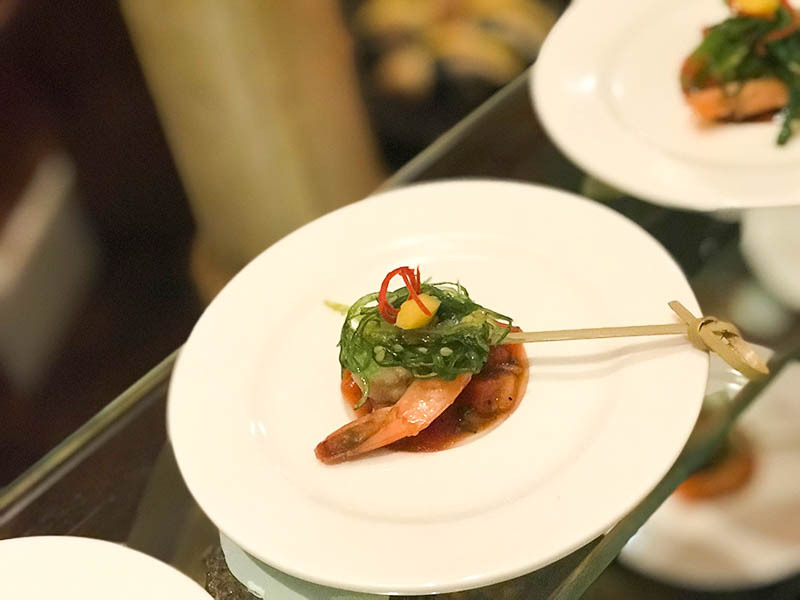 In this way, guests follow a personal story of the senses to better understand the history and diversity of Indian cuisine. Whether you get all of that or not, you’re bound to enjoy this place! 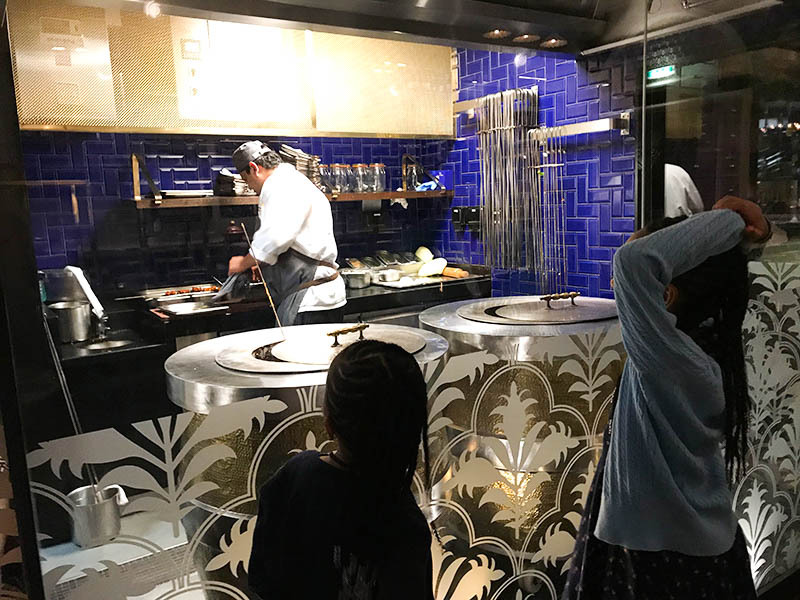 My girls loved the open kitchen and getting to watch the chef work the tandoori ovens. The menu is made up of delectable Indian dishes, perfect for sharing. The food is fresh, with all of the spice mixtures, marinades and pickles being house-made. The food was delicious, but the cocktails (and mocktails) are really worth noting. 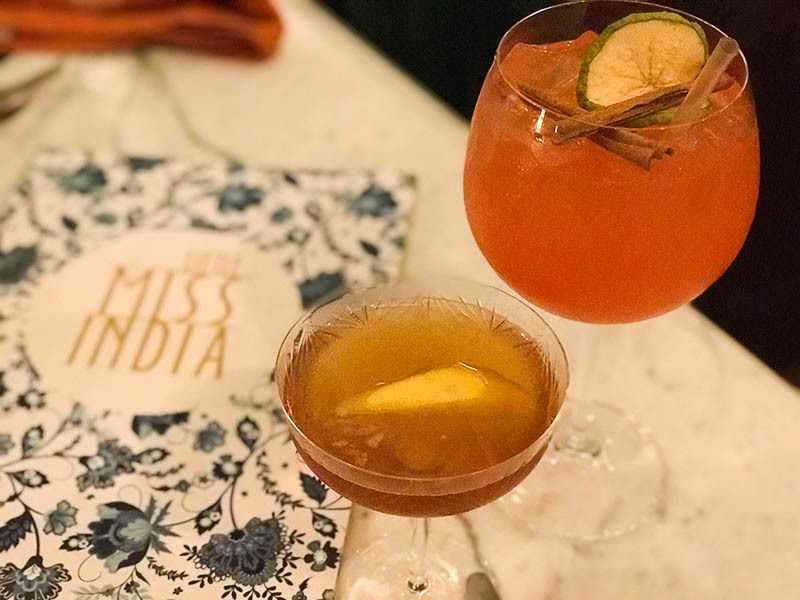 We particularly enjoyed the light and refreshing Bollywood Spritz, made of vodka, aperaol, grapefruit, apple juice and prosecco; and the delicious Kerala Mule, a play on the Moscow Mule that adds a splash of pink guava and mint to the mix. Fairmont the Palm Dubai (check your dates for rates) will give your family the best of the beach and the city, all in a luxurious and fun setting. 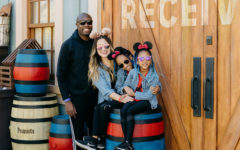 It’s not often that you see those two terms used to describe the same place, but thanks to an incredible kids’ club and innovative dining options, our girls truly had a fun vacation, and we didn’t have to sacrifice the upscale amenities we enjoy when we travel. 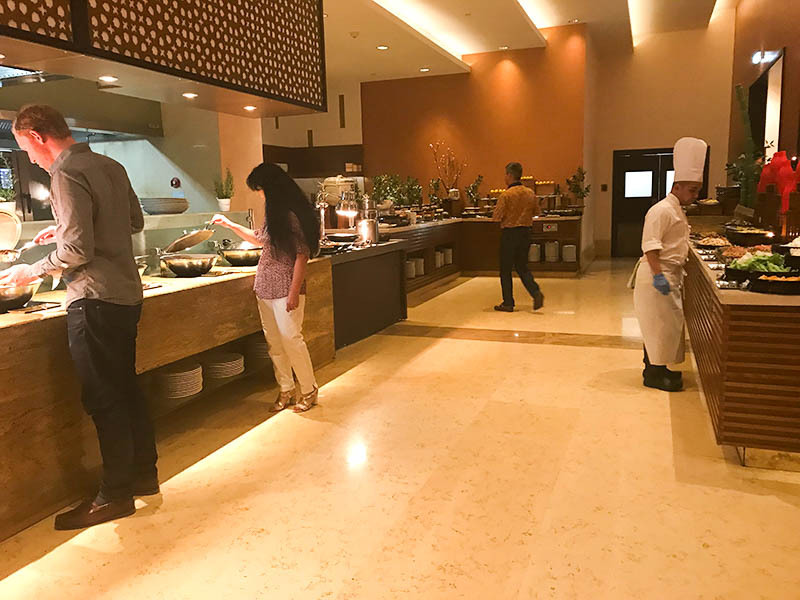 The opulent atmosphere, excellent hospitality, fabulous restaurants, and proximity to the energetic The Dubai Mall provided us with everything we needed to have a fabulous and memorable trip. 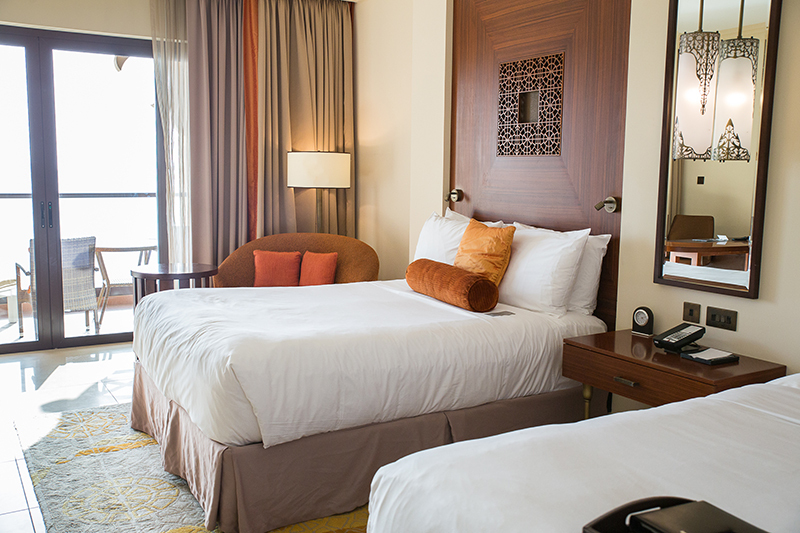 We received complimentary accommodations and some meals from Fairmont the Palm for the purposes of this review. All opinions are our own.